Get fresh groceries delivered to your door! 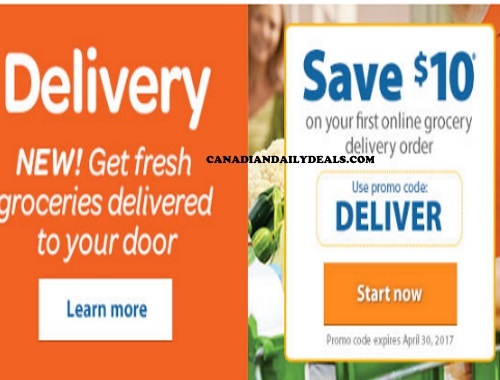 Save $10 off your first online grocery delivery order! Basket value minimum is $50 for each PickUp/Delivery order. Walmart PickUp/Delivery fee and/or shipping fees may be charged where they’re applicable. eVoucher is one-time use only. Enter the promo code DELIVER at checkout. Offer is valid until April 30, 2017. Click here to browse Walmart.